Norman is an entrepreneur/investor who has founded several high-growth technology businesses and assisted around forty high-growth entrepreneurs to start their businesses. His interest is particularly in the first 3-5 years of company development, after which he typically disengages to work on new businesses. Norman’s current passion is for using entrepreneur development and start-up support together as tools for local economic development. He has run three business incubators in Australia and New Zealand and has, in those roles, seen the development of many more start-ups than the forty he has personally worked on. He has worked as a Research Technician, Street Sweeper, Truck Driver, Linesman, Engineering Designer, Market Researcher, Strategic Planner, Marketer, CEO, and Investor. He has started small businesses, including a gym and a painting contracting business. He has an MBA from Otago University, and a Doctorate in business from Charles Darwin University. His doctoral dissertation was on the behaviour of entrepreneurs in start-ups. 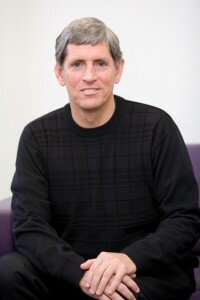 Norman has been a company director since 1996, and currently sits on the Boards of a number of small to mid-size companies (all less than $200M pa revenue). © 2010 Dr Norman Evans. All Rights Reserved.